The third Annual General Meeting of the reformed Association will be held Saturday 29 April 2006 At the Leinster Arms Public House Leinster Terrace, Bayswater, London W2 11.00 am for 12noon Raffle prizes are most welcome. Proposals for the election of officers to the Committee (Chairman, Secretary and Treasurer) must be received, in writing no later than Friday 21 April 2006 and must include the name of the proposed member, name of the member proposing and the name of the member who is seconding the proposal. 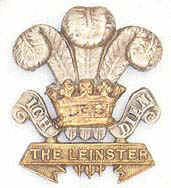 Click the link for map Where is the Leinster Arms?